The positive is that the general area and vineyards are lovely, within a beautiful country setting. The negative, however, is that the property, and particularly the cottage, is significantly run down due to a lack of maintenance. Additionally, it's clear that the specifics regarding proximity to the road and other properties, and the number of people the house can reasonably accommodate advertised by the owner is misleading. Our guests were horrified by what was found, deeming the property unsuitable for accommodation, and misrepresented. Some guests left early or decided to not come altogether, leaving us out of pocket and with disappointed friends. The entire holiday was quite adversely affected as a result. After a few hours of rain on our third day there, we found 2 leaks. One on the front verandah, which almost destroyed about $3,000 of photographic equipment placed on the table, and one in the back sunroom. The sunroom leak came through a light fitting (see picture) so we had to switch off the light for safety, and avoid the room altogether. 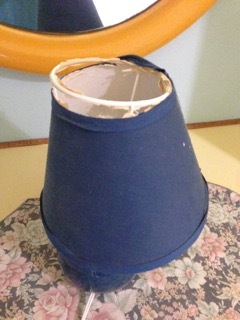 Rust stains are evident on one of the down lights indicating this problem has existed for some time. Despite assurances by the owner regarding the pool temperature, and after running the heater for many hours, we found only the spa would heat, and only reasonably so when the during hot weather; rather defeating the purpose. There appeared to be no working heating of the pool, resulting in the pool being largely unused. Moreover, the instructions for operating the pool and spa were muddled. Additionally, although there seemed to be a switch to operate a light inside the pool, it did not work. Pretty much all furniture and fixtures were old and generally in very poor condition - possibly even second-hand. Sofas show wear and tear, smell badly, and some have stuffing coming out of corners. The ones in the TV room were incredibly uncomfortable - having long lost any reasonably cushioning. The red couch shown in airBNB marketing materials as an apparent sofa bed looks nothing like the marketing images - it's exceptionally decrepit. Water from the taps, which comes from the rainwater tank, has a stale, unpleasant smell, which permeates any food preparation, including when used for making ice. This may be the result of a poorly maintained tank or pipes, as the rain in the area would no doubt be pristine. 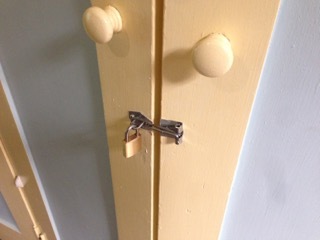 All wardrobe storage in one bedroom, a compartment in the fridge, and half the freezer were either padlocked or marked as inaccessible to guests with notices such as “Victoria’s(the owner's) Food”. There is also a filing cabinet in the hallway and excessive clutter all over the cottage which appear to be personal effects. These should be kept in a separate residence or cottage rather than taking away space from an already small cottage. The claim that the property can accommodate 14 guests is laughable. While the main cottage can sleep 9 in the bedrooms, the "sofa bed", as stated above, is exceptionally decrepit, and is located in a hallway. The kitchen is the same size as one one would find in a small apartment, so we have no idea how a meal for 14 guests would be prepared in there. The dining table can only accommodate 6 people, and the back verandah has inexplicably been split into 2 rooms - making each one useless as a large space. Even if you add in the run-down self-contained cabin, that's 11 people, maximum. And there isn't one place inside where all 11 could sit down to a meal together. The combination of enormous clutter about the place - locked cabinets, a desk with pamphlets, useless furniture blocking passage - and the already cramped space becomes impossible. There simply isn't enough room for 14 people to move in the cottage and this is plainly a false claim. To our horror we found numerous stains on the bedding provided. The photographs show below, taken within an hour of our arrival, are of the underlays and mattresses. They are quite disgusting and desperately need to be thrown away and replaced, as they are not fit for commercial accommodation. 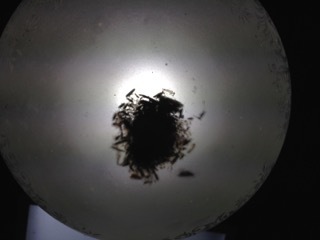 There are numerous examples of unprofessional work and poor maintenance in the cottage, including poor siliconing, filthy skylights, and light fittings containing years of accumulated insects. We couldn't hazard a guess as to when the roof and skylights were last cleaned. The pool area contained dead plants, and further examples of neglect. Tiling on outdoor pool ornament appears to have fallen apart. The log furniture near the pool is decrepit and can’t be sat on due to the crevices. It may look rustic and quaint but it’s totally unfit for purpose. The water pump is located right outside two bedrooms. Clearly it's required, but as it runs day and night it kept the occupants of those rooms awake all night. I can’t imagine a worse place to install a noisy pump, and also can't comprehend the level of disturbance it would create if you managed to cram the claimed 14 people into the house, with people getting up in the middle of the night to use the toilet triggering the pump. We understand that work must go on while on a farm, but the marketing statement that "The cottage sits in a park-like acre of flowering trees, surrounded by vineyards and the mountains of Wollemi National Park" and that we could "Relax and enjoy the stunning views with a glass of Elysium wine in the private pool and outdoor heated spa" both lead us to expect a remote location. We were unpleasantly surprised to be affected by farm machinery, road noise, and barking dogs. Not the ideal location represented. We found the carpets and rugs to be exceptionally filthy. Like the roof and skylights, we couldn't hazard a guess as to when the carpets and rugs were last cleaned. In any case, they are beyond cleaning and need to be replaced. Both internal toilets do not have locks on them. This is quite bizarre. How do you expect 14 people to maintain a sense of privacy? Join in and write your own page! It's easy to do. How? Simply click here to return to Readers' Stories - Hunter Valley.